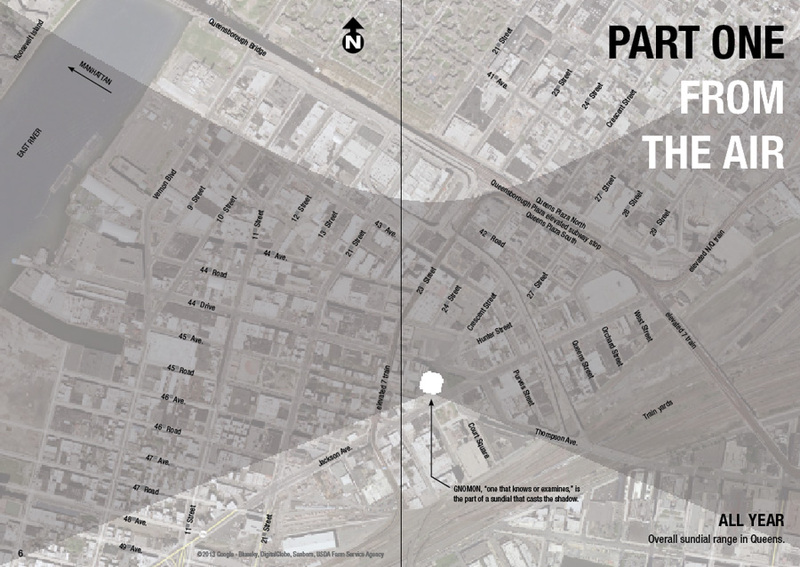 Long Island City Sundial Field Guide, 2013. 5.83 in x 8.26 in x .28 in., 60-page softcover digital-offset printed book. The Long Island City Sundial is a neighborhood-wide sundial in Queens, New York, just across the East River from Manhattan. 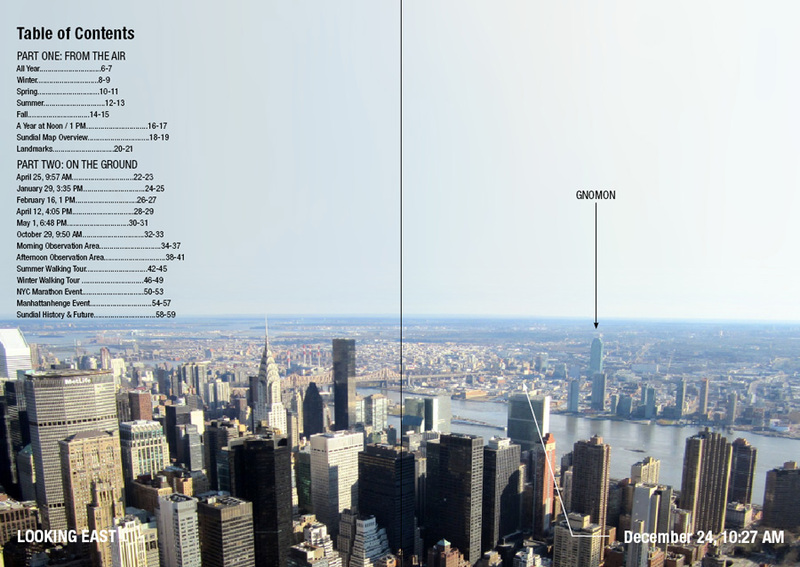 The prominent 201-meter Citicorp building’s shadow can be tracked across the neighborhood and used to tell time throughout the day and year. Since this sundial’s shadow-casting spire (the gnomon) is vertical instead of at a customary angle, the length of the shadow at any given time changes from day to day. The dial is the irregular terrain of buildings and elevated roads and tracks in a neighborhood that slants down toward the nearby East River. 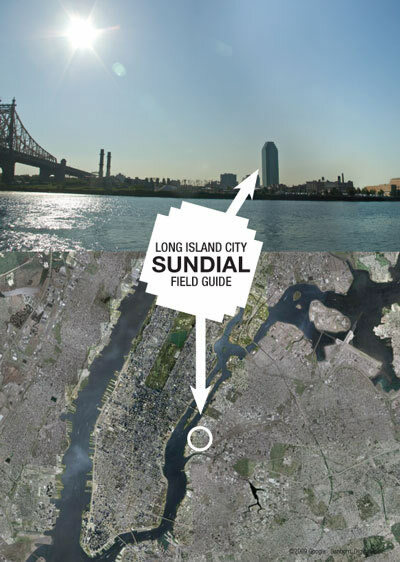 The Long Island City Sundial Field Guide assists reading and experiencing the sundial through maps, landmarks, observation areas, tours and events. See www.licsundial.net for more information, including images and maps, video, research, and references. 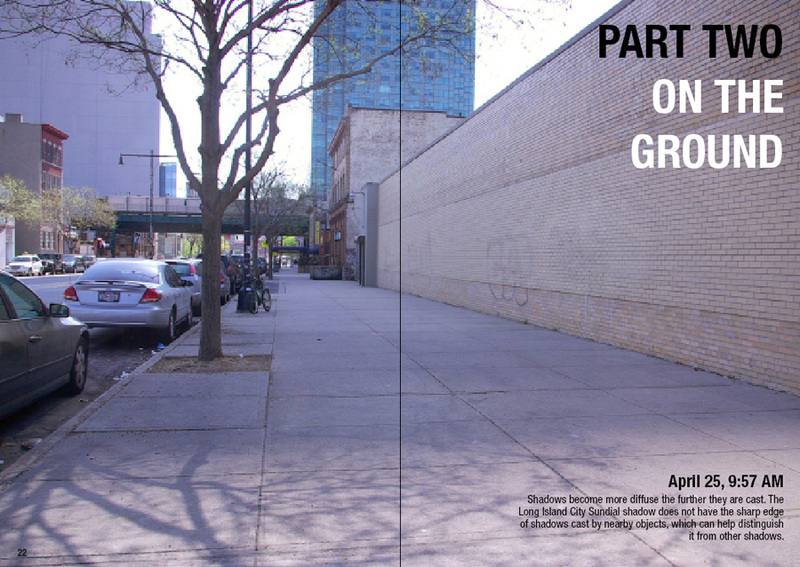 This project was made possible (in part) by the Queens Council on the Arts with public funding from the New York City Department of Cultural Affairs and a Project Assistance Grant from the College Book Art Association. Long Island City Sundial Field Guide: $30 includes shipping regular mail within the USA/Canada. For shipping outside the USA/Canada please email for an estimate before purchase [ hn (at) heidineilson (dot) com ].